Leonel is prepared for anything and travels light yet with versatility with this premium compact selection. Hi my name is Leonel Andalis, but I’m mostly known as Homeboy, a nickname given to me from my youth. I’m from the Bay Area, California and just have a general pleasure for photography, be it with friends and family or a good street hunt. No bag pictured because life moves fast therefore I need to pack light and be quick about my wits. – Cold Steel Mini Tuff Lite pocket knife for opening packages or self defense if necessary. – Orbit gum in winter mint for a good chew when a conversation strikes! – IPhone 5 SE because it is the most ergonomic phone for my tiny hands in this “bigger is better” market. – Currently shooting Tri X 400 and Neopan 100 because I’ve been inspired by the likes of Anders Petersen and Yusuke Yamatani. – Fujifilm X100F slung around my neck via Killspencer strap. The Fuji is the perfect companion in case I feel like I might miss a shot with my film camera in use. If I’m shooting black and white in my Contax, I will shoot color with the Fuji to give me an option if necessary and vice versa. 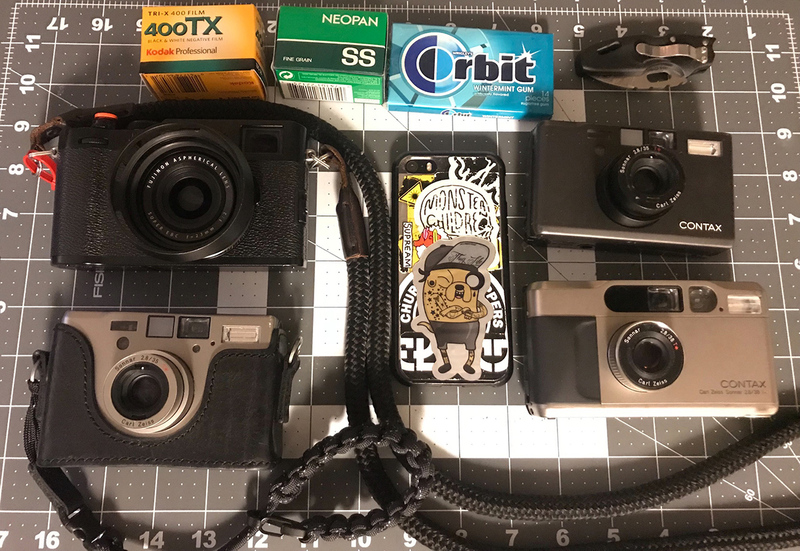 – I never shoot with more than two cameras, I’ll usually pair the X100F with a Contax T3 or I will shoot a Contax T2 and T3 with a roll of black and white in one and color in the other. The Contax’s can do no wrong in my eyes, they’re exactly what I demand from them in a moments notice and are a generally robust camera as Bellamy has stated before. 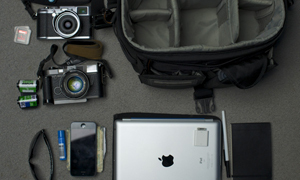 Well there you have it, my rather light, but raw version for the “In your bag” series, but more like “In your pockets” haha! 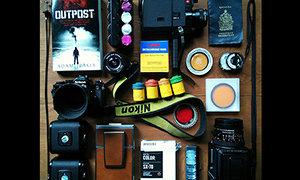 Travel light, live heavy and keep film alive! Thanks for all that you do, Bellamy & gang! 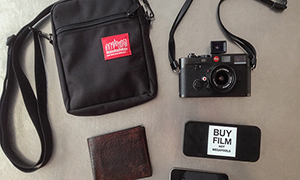 Thanks for sharing with us your bag shot Leonel. Your pockets are the envy of many. 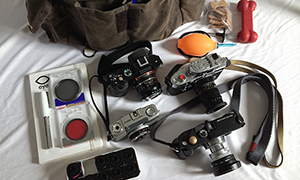 Nice equipment (what is that Neopan “SS” ???) and also nice pictures on your website Leonel! Thans for sharing!